Sistema have a wonderful range of containers that will make summer holiday outings an absolute breeze. As anyone with children knows, you always need to pack plenty of snacks and food when you take children out during the school holidays. Whether you are simply taking children to the park for a picnic or into central London to see the sights, you will always need to pack some snacks for your little ones. Sistema have a fabulous range of containers that will make carrying snacks and drinks so easy. The ‘To Go’ range of storage solutions is brilliant when you are out and about. 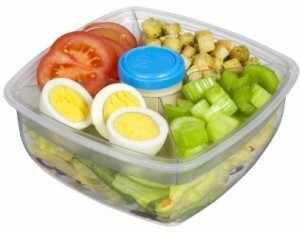 The Salad Max To Go is a fantastic multi compartment container that will allow you to feed larger appetites on the go. This container has plenty of room for all your added extras in salads as well as a pot for the dressing. It also contains handy plastic cutlery. It boasts a 1.63L capacity and is ideal for picnics with family and friends. The RRP is £14.99. 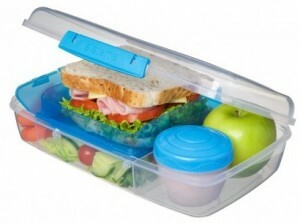 The Bento Lunch Box is also another fabulous container that will allow you to take your lunch on the go. This Bento Lunch Box is ideal for keeping lunch items and snacks separated and fresh until they are ready to eat. It also features moveable compartments and a seal-tight yoghurt pot. The 1.76L Bento Box is a brilliant size and contains 2 hinged compartments and one moveable compartment. The RRP is £9.99. As well as a range of fabulous storage containers, Sistema also have a great range of water bottles to make sure you stay hydrated all day. The Tritan Swift bottles look very stylish and are a great size. They are designed with a wide mouth sipper for uninterrupted flow. They are also a convenient size and have a soft moulded finger loop for easy on the go drinking. These bottles are made from high quality, ultra clear TRITAN™, which is impact resistant, leak-proof, BPA and Phthalate Free. The RRP is £8.99. Sistema have a wonderful range of containers that will make packing snacks, drinks and food so easy during the summer holiday outings. To see the full range of products visit www.sistemaplastics.com.